Okay, so this post has been way overdue. Nevertheless, one cannot rush greatness and there is nothing greater than a recap of the best Miami highlights from this year's Swim Week. So, go forth and behold our latest #ThankYouMiami for Fashion column and make sure to check out our Instagram page throughout the weekend for snap shots from our featured events. There's a little bit of girl power, a little bit of do-gooding, a little bit of fun, and a whole lot of fashion talk. Miami fashion bunnies, this ones for us! 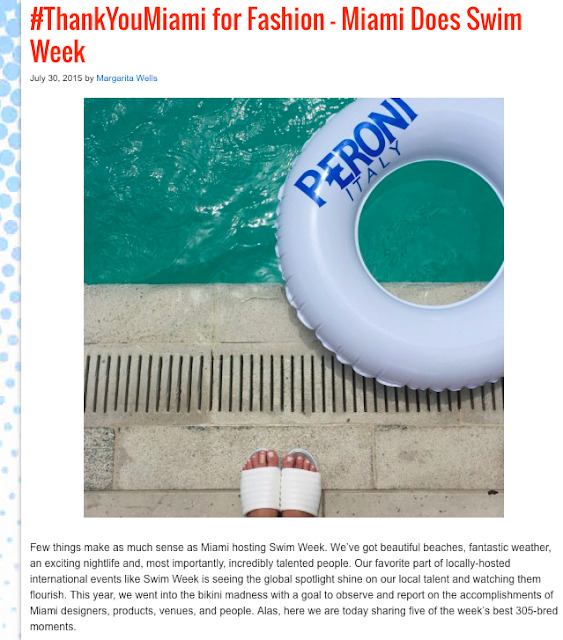 What was your favorite Miami moment of Miami Swim Week 2015? Who is your favorite Miami designer, brand or store of the season? What is your latest swimwear must-have? Beach accessory must-have? Leave a comment below or send us a tweet @ThankYouMiami! Timely post , I was fascinated by the insight ! Does anyone know where my assistant could possibly locate a template Canada OCF-18 copy to work with ?